Love has its own time, its own season, its own reasons for coming and going. You cannot bribe it or coax it into staying. 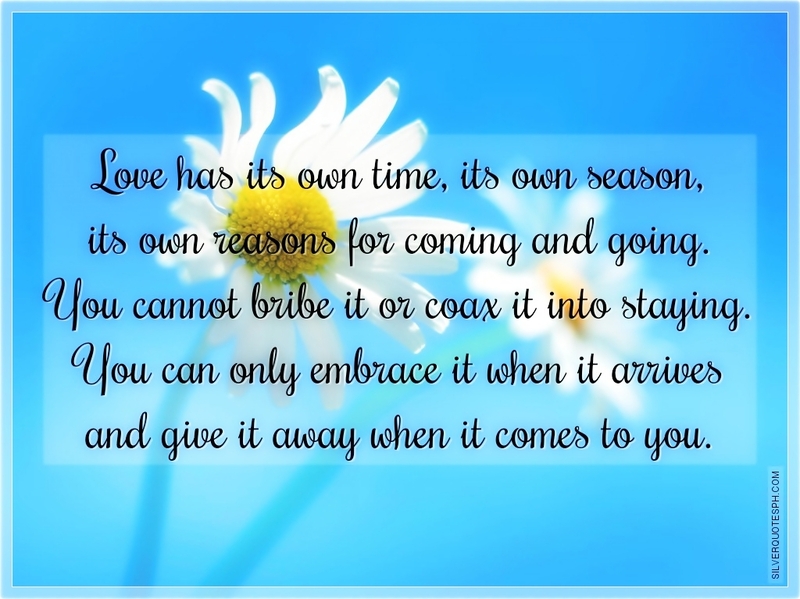 You can only embrace it when it arrives and give it away when it comes to you.